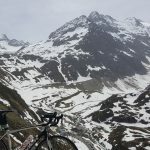 Saturday I rode the Highway to the Sky time trail up Sustenpass in central Switzerland. 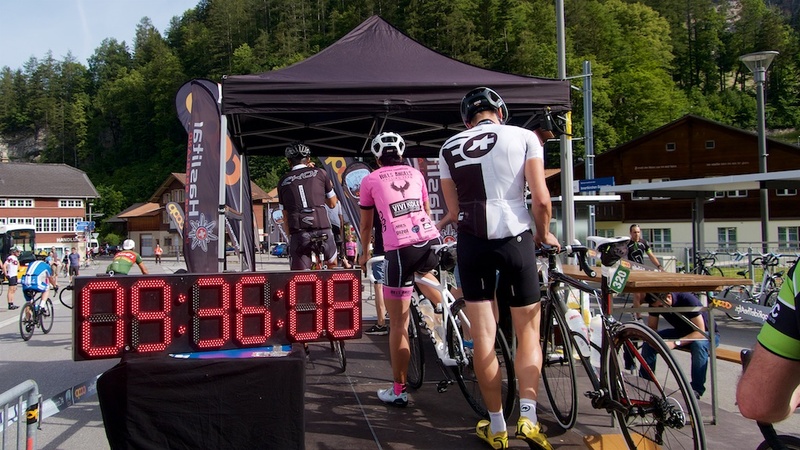 There were just over 400 people signed up with riders leaving every 20 seconds. 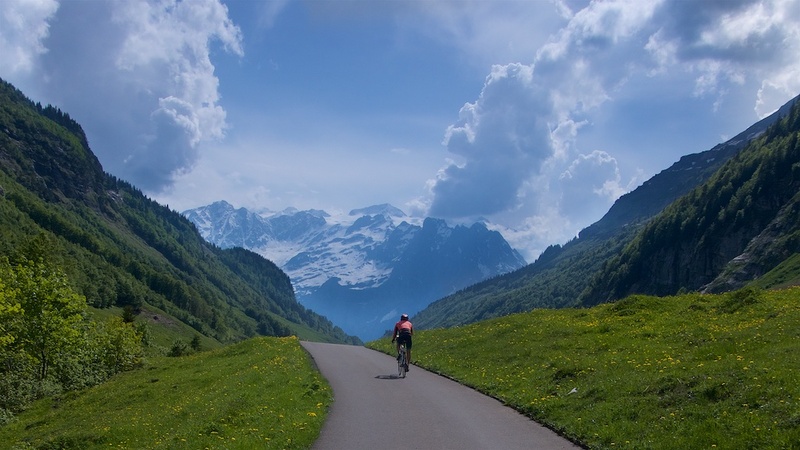 The road was also open for any other cyclists. It was a well attended, well run event with a great ambience. I leave at 9:37:40 !!! 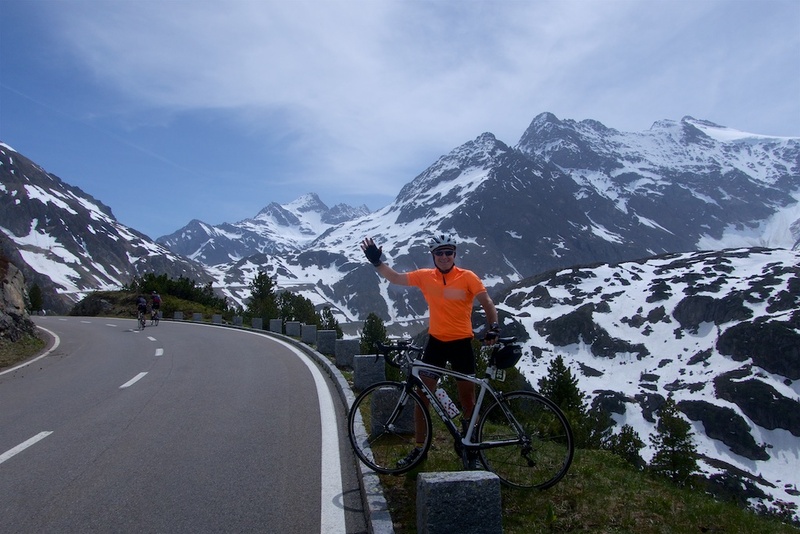 Sustenpass (2260m) is one of a group of gigantic climbs in the central Swiss Alps. 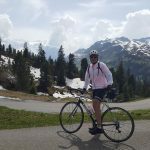 One can make all sorts of loops combining Grimselpass (2164m), Furkapass (2429m), Nufenenpass (2478m), Gotthardpass (2106m), Oberalppass (2044m), and Lukmanierpass (1915m) in some way or another. 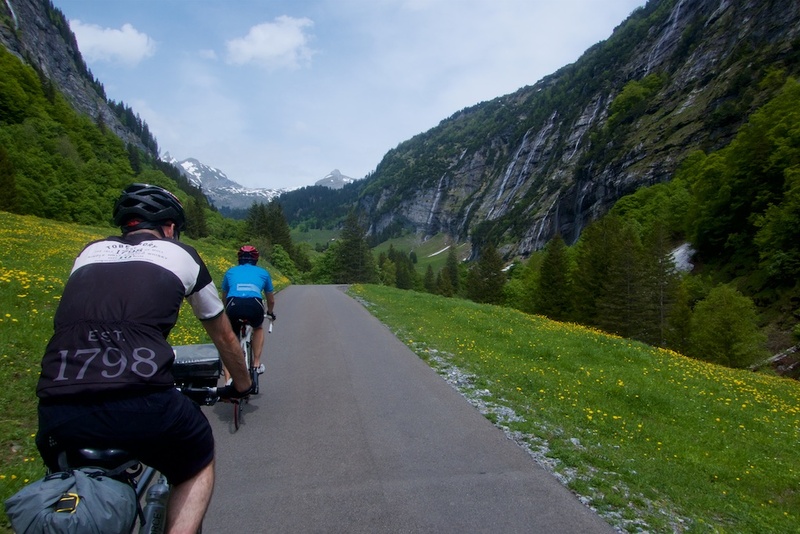 Sustenpass is rarely too steep, but it’s 27.5 kilometres of uphill through beautiful Swiss countryside. 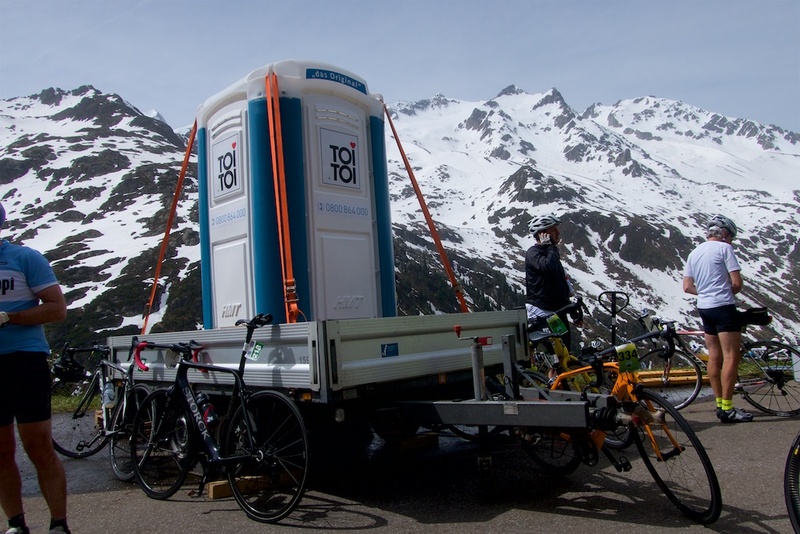 An unfortunately named little ski station. This west side of Susten is far more interesting than the east side. But, it has lots of tunnels cut into the rocks. Although rarely long, narrow or scary, it’s worth bringing a backlight. 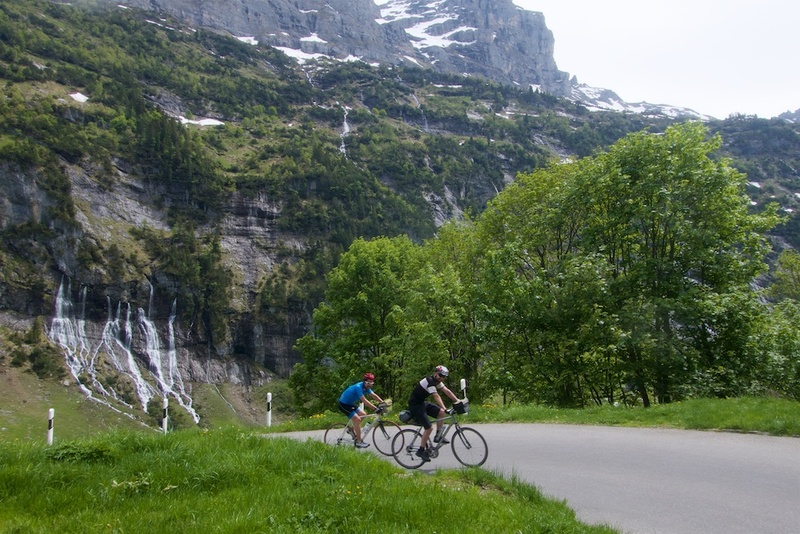 For info on more car-free bike days in France/Switzerland,Italy, and Austria, see here. 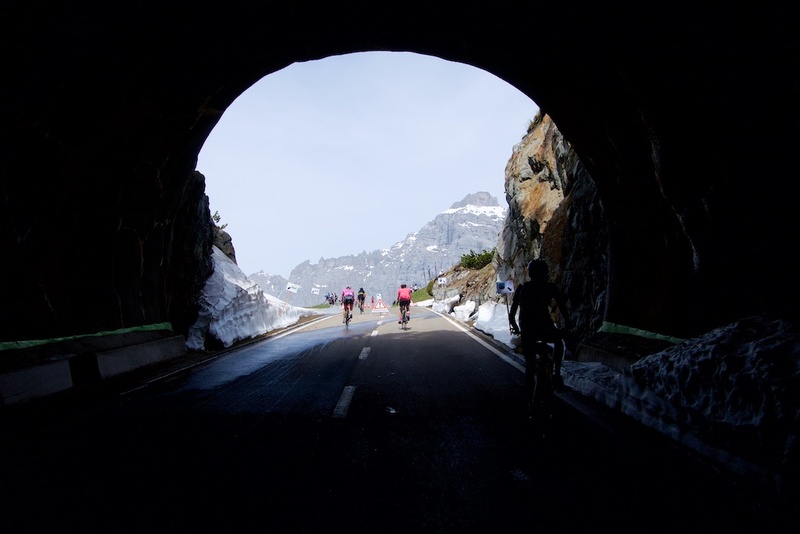 Unfortunately, the event was forced to finish a couple of kilometres below the summit as the road still wasn’t cleared after winter. I snuck past the snow plough and rode perhaps a half kilometre further but stopped when I saw a little avalanche over the road. 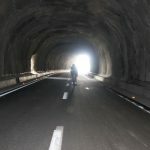 We actually saw a guy skiing down the road beyond the next tunnel. 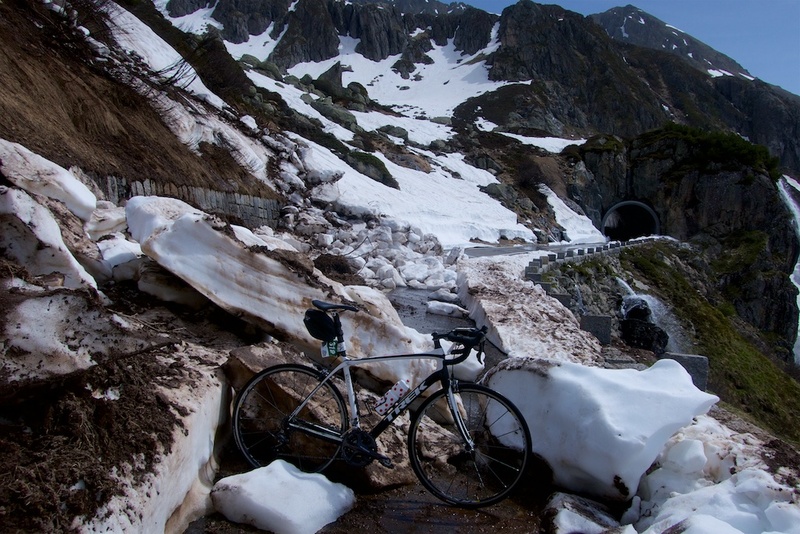 Lots of snow on road beyond next tunnel. At the finish, Sébastien recognised me from my blog. He tells me and his friend Akira that he likes the blog because I recommend lesser known stuff. 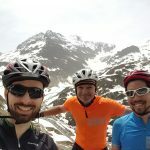 We chat a while and they were clearly very nice guys, so I say, “I am going to descend Susten and then climb (the lesser known) Lac d’Engstlen, if interested.” We agreed to have lunch near the finish and then ride together. 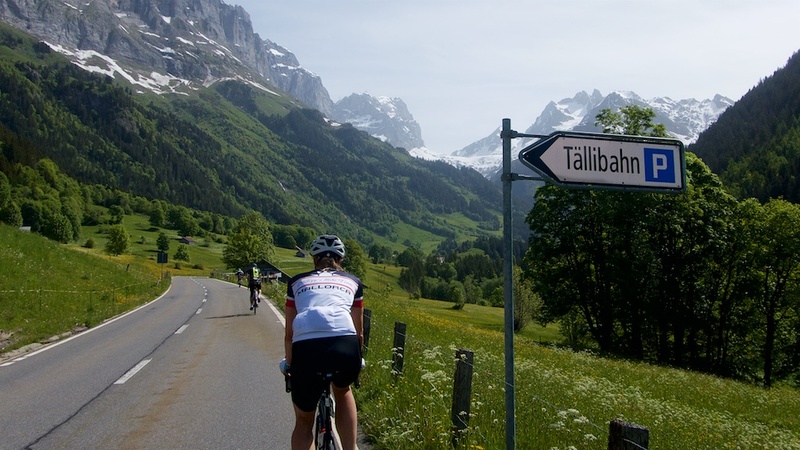 Lac d’Engstlen is the sort of ride I like. Narrow, off the beaten path, challenging and beautiful. It’s also a toll road which keeps it quieter. 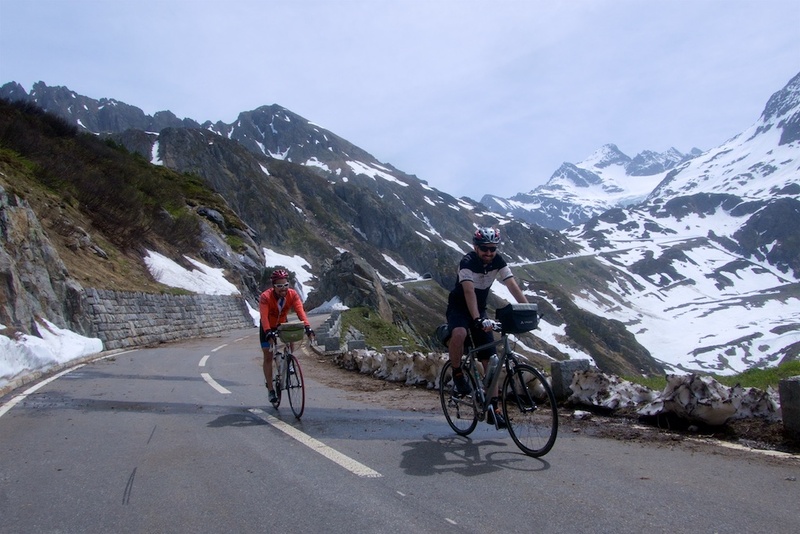 Lac d’Engstlen shares the first four kilometres with Sustenpass. 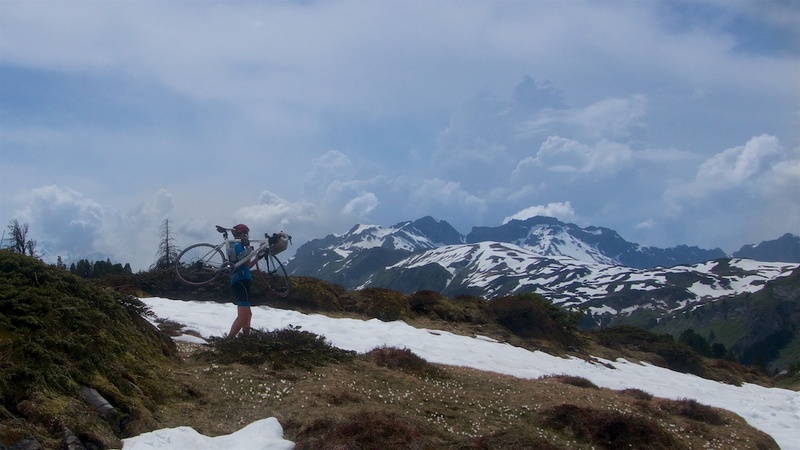 We turned off and happily found we climbed at similar paces as we struggled up the steep early kilometres through an alpine forest. The flat part of the profile rides through a plateau with mountains on either side. The rest of the ride we would see endless waterfalls, it’s beautiful. 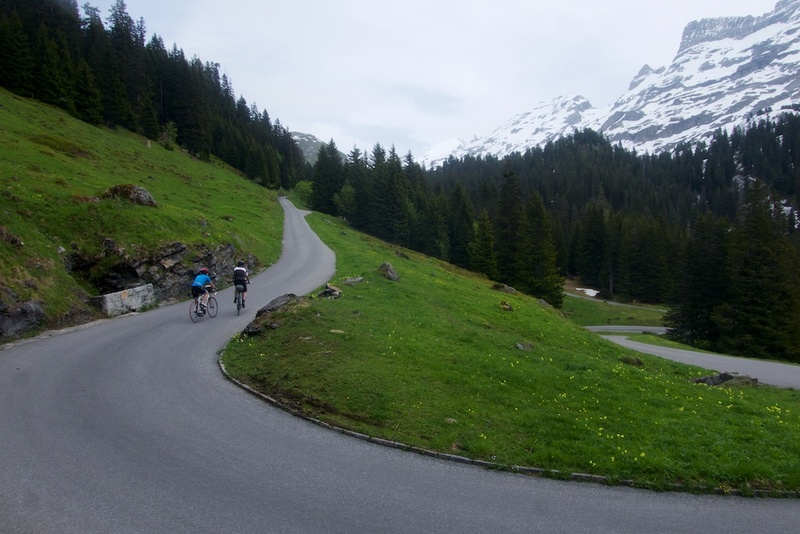 The plateau can fool you into thinking this is an easy climb. But things soon get very steep again as we climbed towards the lake. The paved road ends at a hotel/restaurant. I knew from a previous visit that the lake required a gravel traverse. But today, it also required a snow traverse. I wanted to see the lake but wasn’t certain if my new friends would appreciate this. But then I remembered our lunch conversation. 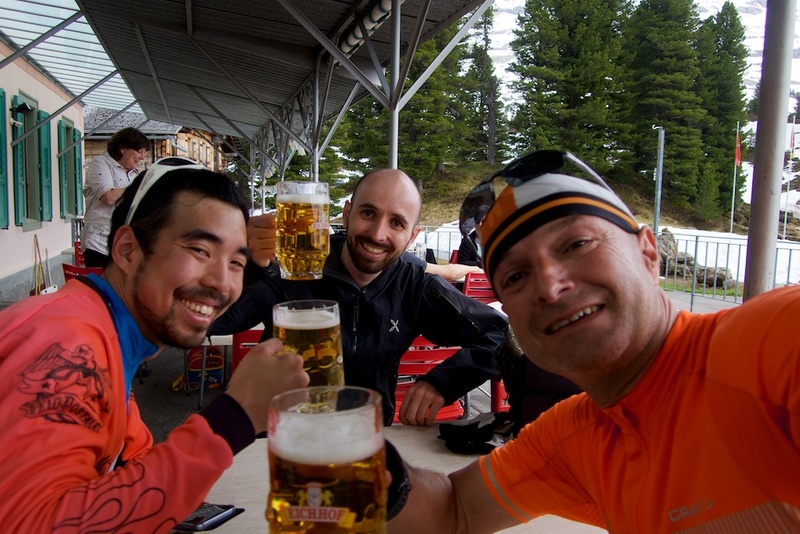 These very likeable young Swiss guys had travelled around the WORLD for 18 months together on bikes. A touch of snow was nothing to them. You can read about their adventures here. It’s fabulous stuff. At a minimum, click just to see the map outlining their travels. They had kindly paid for my lunch, so after visiting the lake, I bought the beer. Santé. This was a thoroughly enjoyable day, with two fun new friends. 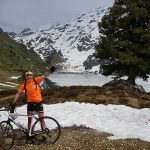 Sébastien lives in Geneva and has promised to join my Steel Wheelers Wednesday Nigh Salève club – once he heard he gets a free beer on his first ascent. Excellent. I was anticipating this post from your tweet on the 26th. Good stuff, as usual, you biking celebrity, you! 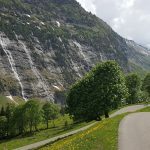 6 of us arrive in Munster on Thursday 7th June, heading back to Geneva Airport on Tuesday 12th (with a quick dash (crawl) up the Sanetsch that morning). Wondering if you thought we’d have problems, especially with Nufenen / Susten / Grimsel if they don’t open in time? 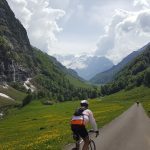 Given that Munster is at the bottom of the Nufenen, Grimsel and Furka and we have no transport except bikes, any suggestions on how to get the most out of our (non-moveable) trip? Thanks, we’ll investigate some fallback options should the preferred routes let us down. 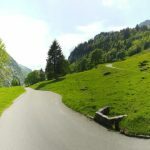 I’m struggling to find a comprehensive map of the Swiss rail network that shows all the lines and stations in the area. Any suggestions? 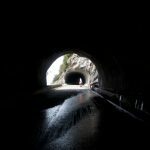 Nufenen is the one pass that I’d really like to get over since the Nufenen > Gotthard > Furka loop is the route we’re most eager to complete. 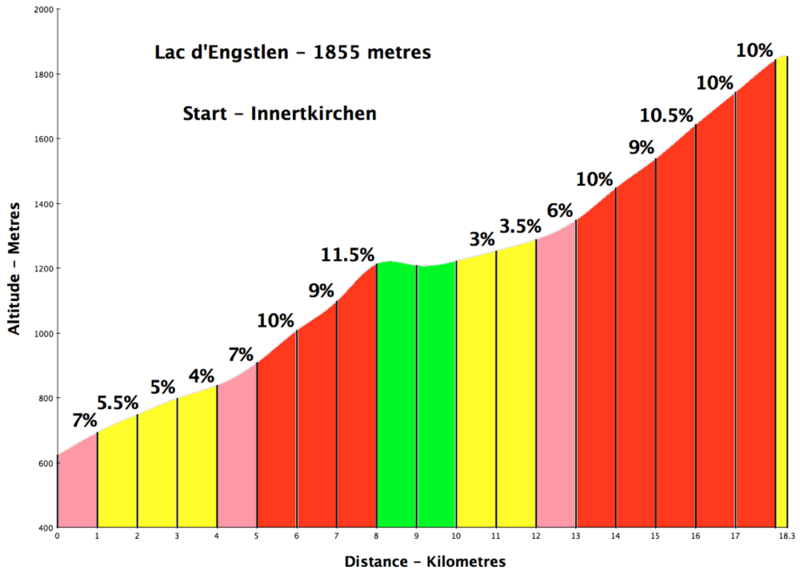 If Grimsel was open that would bring Grosse Scheidegg (already open) into play but a tough day with over 4000m of climbing. 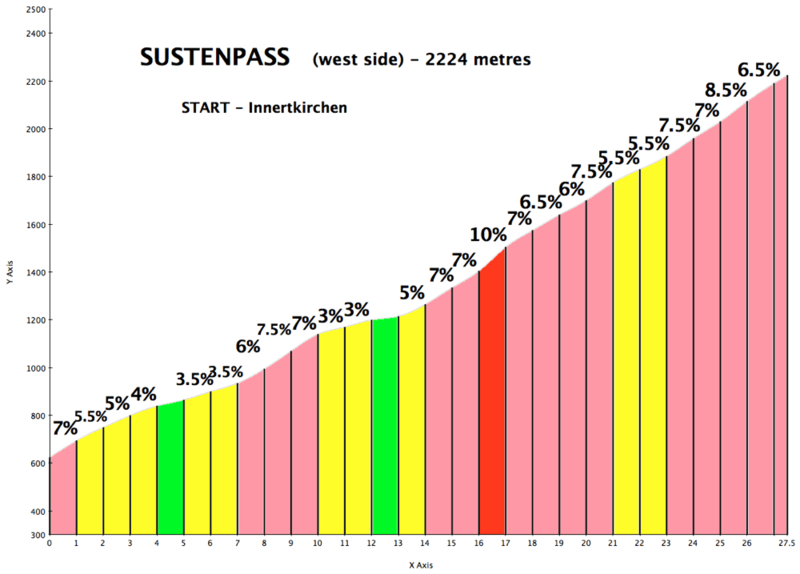 Susten would be a bonus but the best route would appear to be Furka > Susten > Grimsel (4400m of climbing)! The only climb that posed any challenges was the Tremola. 4 hairpins covered in snow needing a dismount and portage. And plenty of wood and stones strewn across the cobbles. 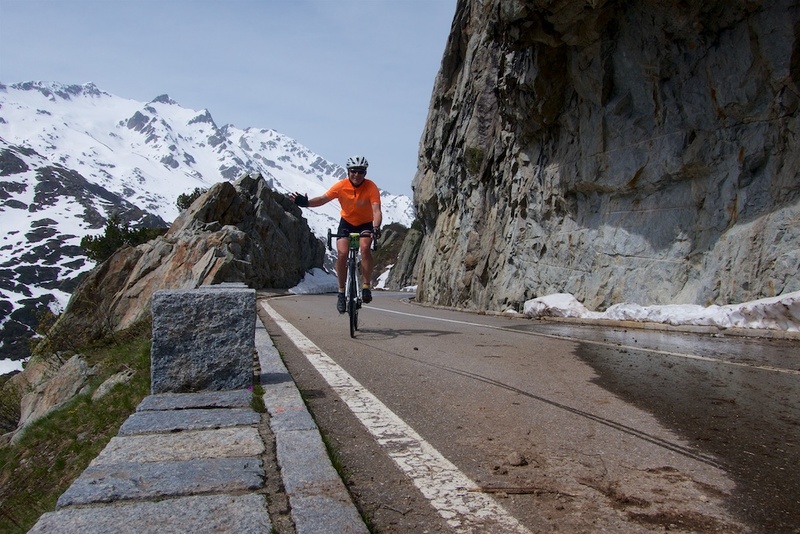 Glorious day though, even with a wet and cold descent from the top of the Furka. Some snow walls on the Nufenen approx 25 feet high. 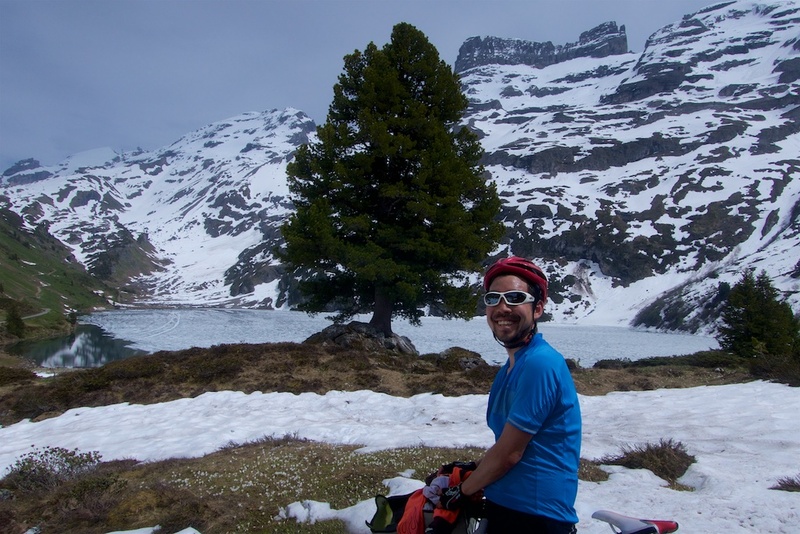 Close to Lac Engstlen (but far away on bike) is another super “lake route” to Melchsee Frutt/Tannalp – TOP 5 in my list of swiss climbs. I recommend.